Laura Ashley is one of the worlds best loved fashion and home furnishing brands. Cyan Studios are thrilled to have been commissioned to style and photograph room sets to showcase the Laura Ashley Tile Collection. 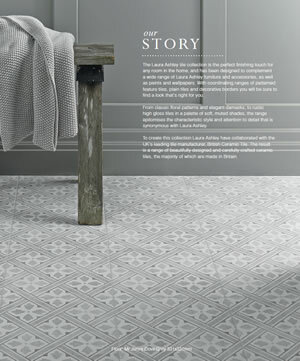 British Ceramic Tile – BCT collaborated with Laura Ashley for a new range of tiles, entitled Laura Ashley Tile Collection. 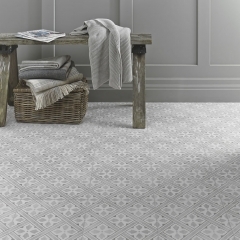 The collection includes the Heritage Collection, The White Collection which was based on Edwardian tiles in London townhouses. 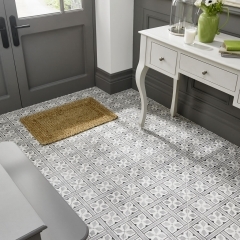 Working closely with Laura Ashley, British Ceramic Tile has focused on translating iconic Laura Ashley prints into a sophisticated range of floor and wall tiles, which have been added to the existing collection to further extend the appeal of the range. 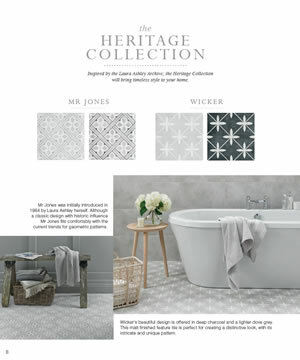 The Heritage Collection combines two of Laura Ashley’s best selling prints – Mr Jones and Wicker, offering a contemporary grey colour palette of graphite and dove grey, while the White Collection includes three families, each featuring a premium range of white decorative wall tiles and coordinating large format floor tiles. 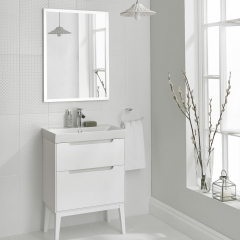 Mr Jones was initially introduced in 1984 by Laura Ashley herself. 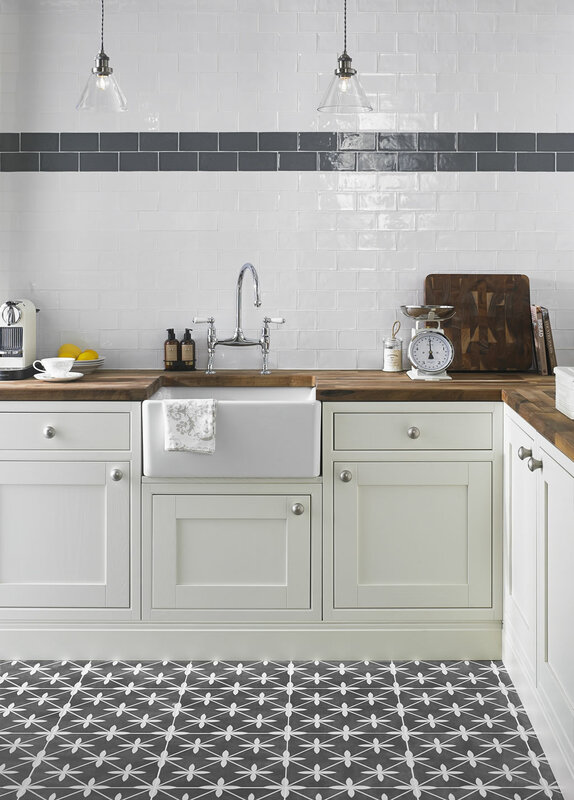 Although a classic design with historic influence Mr Jones fits comfortably with the current trends for geometric patterns. 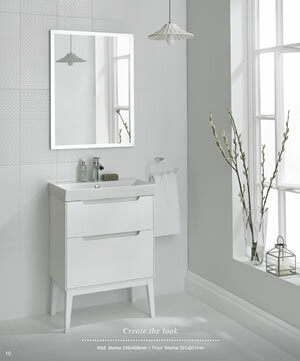 Wicker’s beautiful design is offered in deep charcoal and a lighter dove grey. 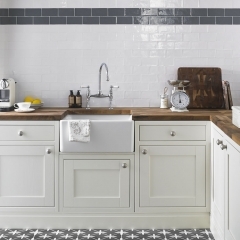 This matt finished feature tile is perfect for creating a distinctive look, with its intricate and unique pattern. 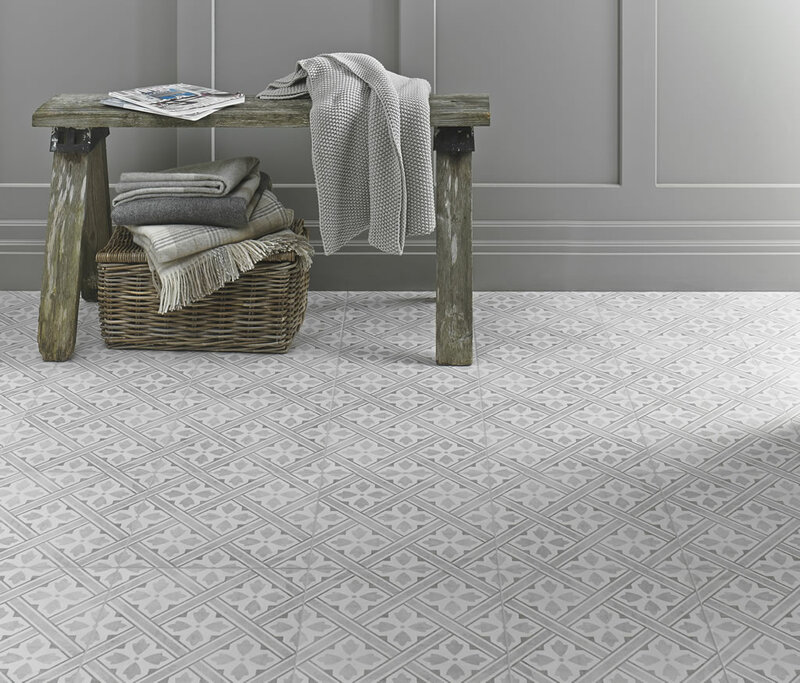 With a crafted high gloss finish, Artisan has a traditional handmade feel which is perfect for rustic or vintage-inspired design schemes. 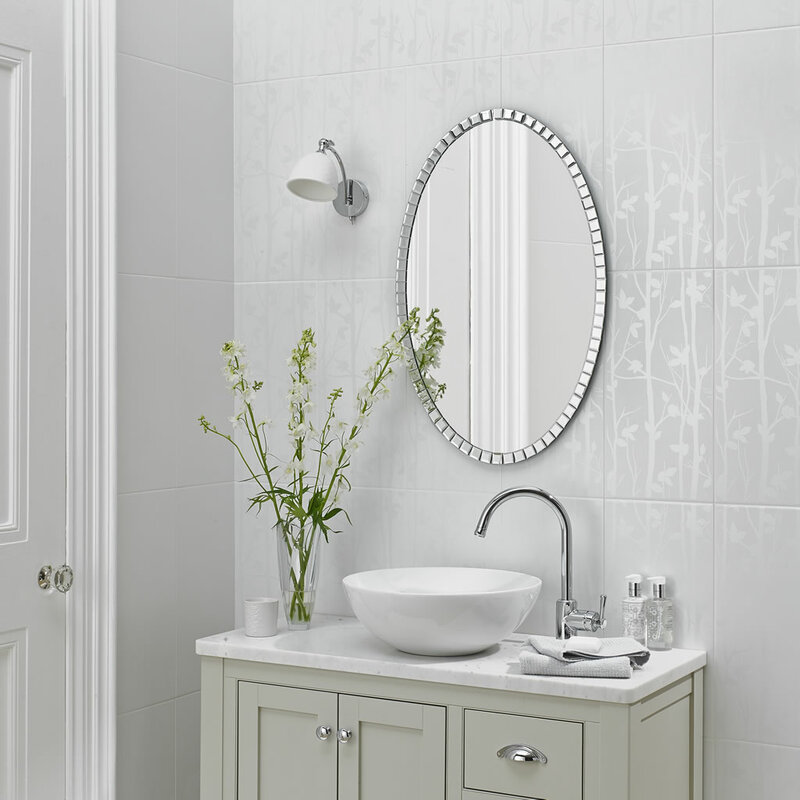 The Laura Ashley collection from British Ceramic Tile, one of the UK’s leading tile manufacturers, offers the perfect way to add that understated finish to any bathroom, kitchen or other tiled area. 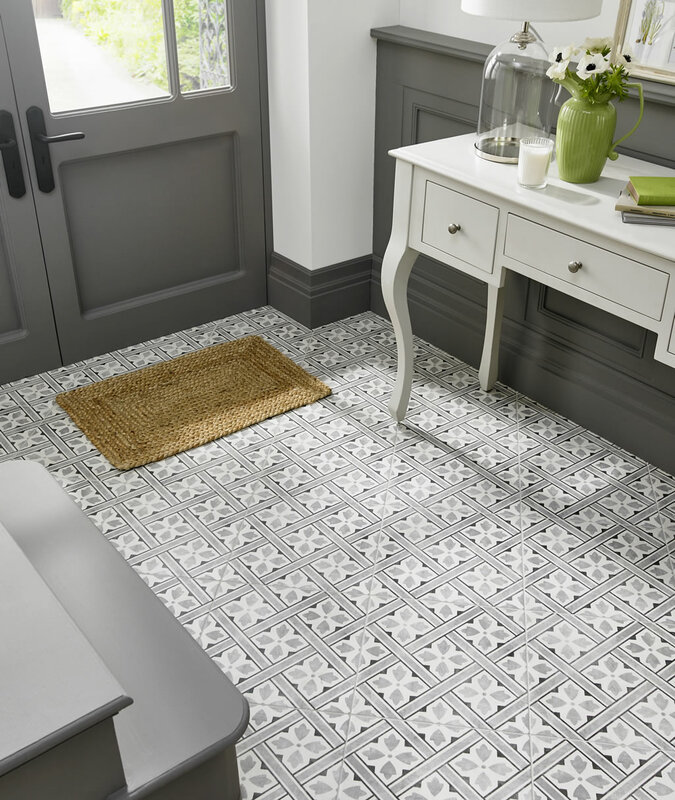 Their tile collections have been designed as the ideal complement to the wide range of interior furnishings from Laura Ashley. From the initial ideas through to the final image retouched photographic and CGI renders, they all played a vital role in creating the resulting photographic and computer generated (CGI) images for this project. 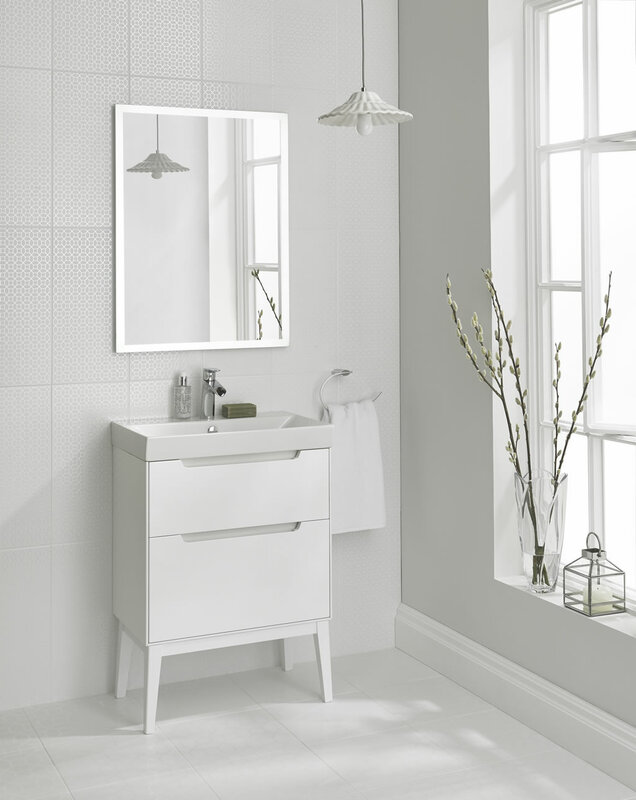 This is the third British Ceramic Tile designer collection that Cyan Studios have been commissioned to produce roomsets, previously collaborating on tile ranges from iconic designers including as Conran and Ted Baker. 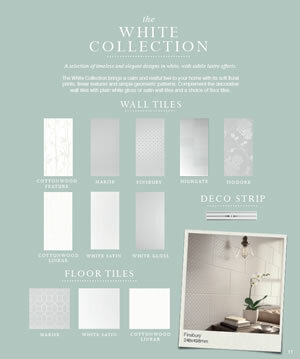 We designed and created the styleboards for Laura Ashley indicating the look and feel for the required images. The majority of the images were created using conventional photography and were designed, built, styled and photographed by our in-house team. 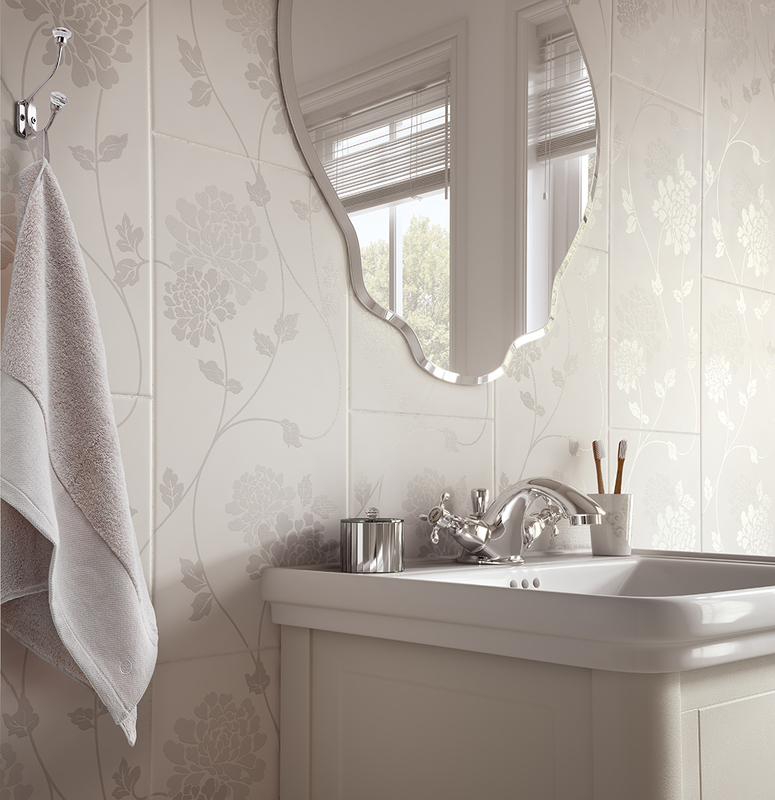 Two of the images were created using our CGI service because the physical tiles were not available. Both the photographed images and renders sit very well together in the final set. The images produced by Cyan Studios have been used in the brochure, press releases and various online retailers. Some sample pages from the brochure and website below.